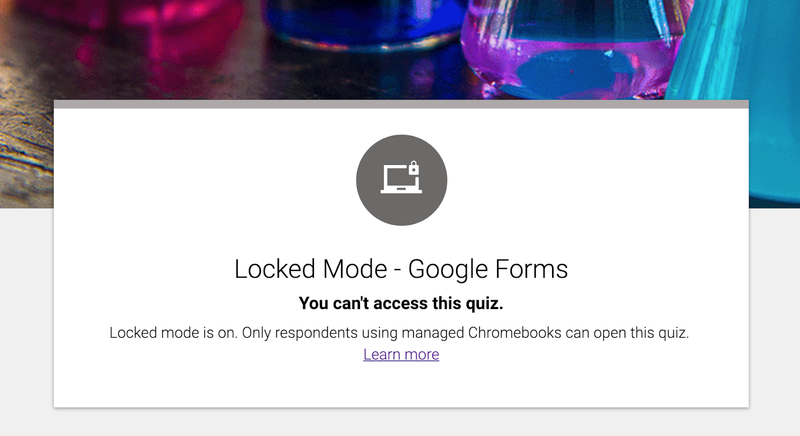 Way back in the Summer of 2018 Google announced an amazing new feature...Locked mode for Google Forms quizzes on Chromebooks. This promised to be a very powerful feature enabling teachers to give quizzes and trust that students were not accessing any external resources. In a class of 10 or 15 students it is possible to administer quizzes on devices by monitoring the screens...but this is far from optimal! There are also some software solutions that help with this but they are often expensive and require IT admin to initiate the testing. Beginning January 2019, Google began rolling out access to its beta version of 'Locked Mode for Google Forms'. Any school that has managed Chromebooks will soon be able to deliver quizzes to students in a secure environment. Our school received access to the feature a few weeks ago, and so far it has worked exactly how it was designed. Assuming you have your quiz setup already, applying locked mode is as easy as turning a Form into a Quiz. The new mode works with any of your old Forms, or you can go ahead and create a new quiz. And remember, you can use the new Quiz assignment from within Google Classroom to create your classes too! From the Settings menu, click on Quizzes, hit 'Make this a quiz' and the Locked Mode option will become available. Once locked mode is available, the settings for collect email address, restrict to one submission and restrict to your domain or automatically selected. What if we don't have Chromebooks? 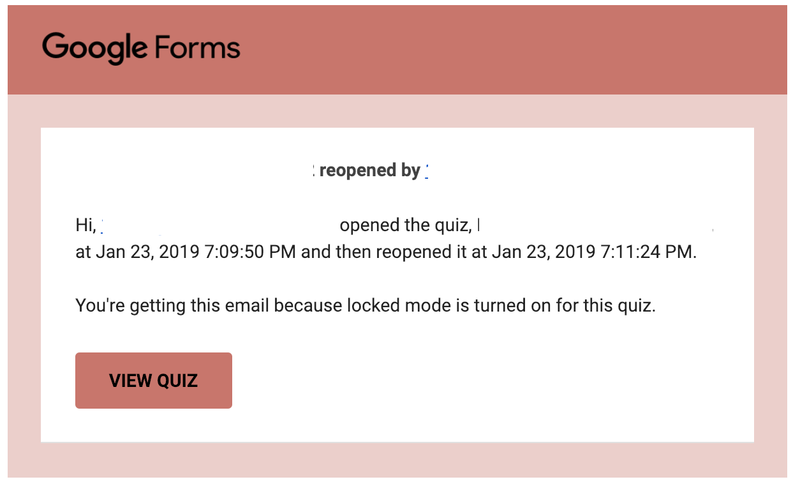 During a Locked mode quiz, the Form is shown in full screen view and students are unable to open another tab, switch tabs, copy and paste text or access Chrome extensions. It is important to note that students are restricted to one response each - this may not suit every style of assessment. One quick troubleshooting note, if you are trying this on managed Chromebooks and students cannot access the quiz, just make sure the Chromebook has been updated to the latest OS version (68 or higher). And the big question...can students hack locked mode? As much as I trust that Google engineers have tested every possible iteration to try to 'break' the quiz mode....Google have nothing on a class of grade 8 students! So far it has been a success, but probably a little too early to tell if any students have found a workaround....stay tuned for updates! How do I get access for myself and my teachers? Has your school been testing locked mode? Have you found anything you think other users should be aware of? Please share with us in the comments!